Bridging The Talent Gap is a groundbreaking, grassroots initiative to help employers and other stakeholders understand and act upon the challenges we face as we ensure a skilled and thriving workforce and economic conditions in our community. We think the success in bridging our talent gaps involves the use of information to create a sense of urgency that produces action. This website represents a step in that direction though our interactive data dashboard which summarizes the first stage in this effort. 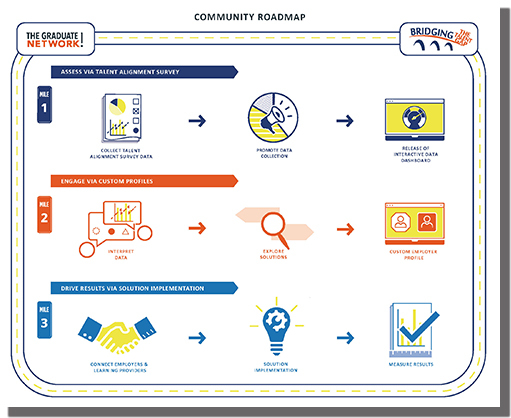 To learn more about the initiative, download or view the infographic below. Bridging the Talent Gap is an initiative born out of the work of The Graduate! Network. 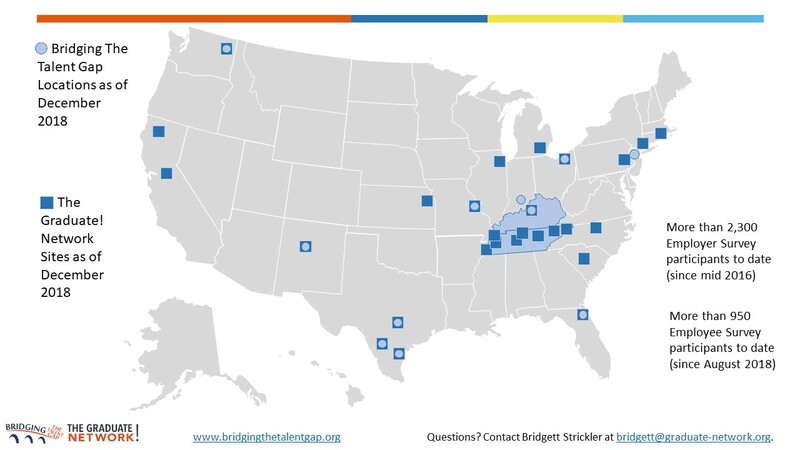 Below is a map showing the locations that are participating in Bridging the Talent Gap as well as the locations of Graduate! Network communities. You can download this image by clicking here.